My mom had six kids; the neighbor had six kids. Between the two houses we had enough players for any game! So when our parents traded babysitting, we played sports at the neighbor’s house; but at our house, all twelve kids sat at a table and learned about drawing. Thus began my journey… and I learned the power of creativity. Many years later, I went into the field of Art as Therapy, rather than trying to live the identity of artist. I learned that working with art materials lowers blood pressure. It can be a way to channel stress from inside the body out onto paper or canvas. Doodling has a calming effect–that’s why anxious students draw around the edges of their papers. This practice comes naturally. But I think there is more to it than the physiological response. We have a deep longing for silence. And we have a deep longing to connect with the Source of all creativity and beauty. Wrapped up in the creative experience is that restless desire for God. It was about nine months ago that I began to take a new look at the drawings I have handed out to my Sunday School students. I drew images of Jesus, Mary and the saints so the 8-year-olds could color. At our church’s Fall Family Fun day, I hang them up with short descriptions and ask people to identify the figures. But I have noticed that parents would look longingly at them. When these line drawings are neatly filled in and accented with doodles and designs, they can become something very special. They become something which is personal and meaningful. So now I have assembled my drawings into a Coloring Book for grownups! My idea is not that people will simply fill in between the lines: I have left white space so that basic design ideas can be added. My creative side used to rebel against “staying inside the lines”…I would always encourage people to express their inner selves by making their own unique mark on the page. However, faced with a blank piece of paper, many grownups feel anxious about getting started. With coloring pages there is a beginning–no need to be the first to make a mark! Once that initial anxiety is gone, it is time to add something that is a personal response to the image. 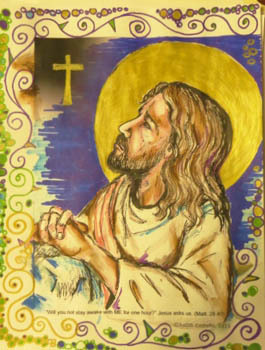 St. Augustine said that singing is “praying twice,” but I am now realizing that coloring can be an opportunity for praying “three times.” When we focus on holy images, using our eyes and hands in a creative way and interacting with the image by adding designs, we are glorifying God! In designs we see the beauty of God all around us. In the patterns of flowers and the graceful curves of a horse, we see God’s love for beauty and pattern. Lines, spirals, curves and scallops form pleasing patterns which can be used during coloring. When Pope Saint John Paul II wrote a Letter to Artists, he said, “The human craftsman mirrors the image of God as Creator.” The Creator calls us to give back to Him by really looking and then reflecting back some of the beauty He has given us. In 1943 a Carmelite priest named Fr. Gabriel of St. Mary Magdalen wrote about the power of using the imagination. He says the purpose of having a sacred image to look at is “to facilitate the work of reflection…it is much easier to think of the Scourging with a picture of it before us. The picture has the advantage of holding the fantasy in check.” The concrete image helps focus the attention. And from there we begin to converse with the One who Loves. St. Ignatius of Loyola taught his followers to form mental images of the life of Christ and meditate as if they were there in that scene. But for some, this is difficult to do. In fact, St. Teresa of Avila said she could not imagine anything when she tried to pursue this practice. So she took a holy image with her in contemplative prayer: to look at and then to imagine being there. The next time you want to pray in a new way, consider coloring holy images! It can be therapeutic for your physical health, but it can be so much more! In the silent imagining process, God comes to us. Costello, Judith, Sacred Images: A Coloring Book for Prayer, 2015, available on Amazon and at www.unwindstudio.com. Fr. Gabriel of St. Mary Magdalen, OCD, Little Catechism of the Life of Prayer, 9thedition, Translated from Italian by The Carmel of Maria Regina, Oregon, 1982. Pope John Paul II, Letter to Artists, 1999. 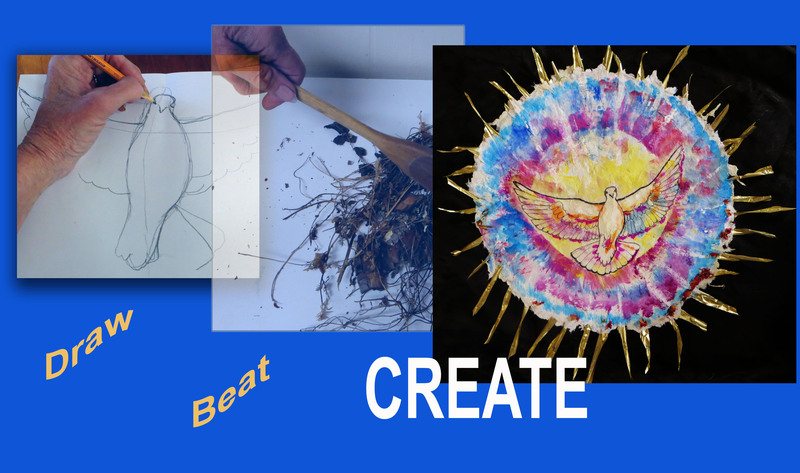 We are blessed when we create. The road seems to narrow and rise up toward the sky. And there an orange-tinted moon waits, surrounded by tiny lights. As I walk along, I have a sense of being lifted up toward that sky. It is as if the body is lightened by the presence of beauty. Real beauty, (not the sexualized images that are currently foisted on us), is not a fluff item. Historically, we have always felt the necessity for being surrounded by beauty. But why? When people are starving and there are so many worries, why think of beauty? Why do we need art? Beauty has something to do with happiness. “Think of all the beauty still left around you and be happy,” wrote Anne Frank, who looked for it in small things before dying at Auschwitz. Children have a greater appreciation for beauty maybe because they are really looking! “Youth is happy because it has the capacity to see beauty. Anyone who keeps the ability to see beauty never grows old,”wrote the Jewish author Franz Kafka who died in 1924. Sometimes it takes effort to see beauty. “The power of finding beauty in the humblest things makes home happy and life lovely,” wrote Louisa May Alcott, who grew up in poverty like her characters in Little Women. There is a mystery which surrounds beauty. It is not of this world. “Do I love you because you’re beautiful, or are you beautiful because I love you?” This is a song lyric written by Richard Rodgers of Rodgers and Hammerstein. “Beauty awakens the soul to act.”These words were written long ago by Dante Alighieri who wrote The Divine Comedy. He died in 1321. Beauty purifies, inspires, releases, lifts up. Surround yourself with art that is not simply decorative but is inspiring. Then you will feel the wonder of life! I am trained as an art therapist so I don’t like coloring books, right? Actually, I now think that the concept of the coloring books was simply marketed incorrectly. Give the children big pieces of blank paper and creative tools and let them explore. They know what to do instinctively. But adults are another matter! Coloring books can be a great starting point for them. Last night a little boy, age 7, played with play dough and had me guess, “What is this?” He knew what he was doing and didn’t care if I guessed right! He was very confident in his expression. But in another couple of years, he may start to censure his creativity. After about age 9, children judge what they do in comparison to others. They begin to wonder if they can do this creative thing that used to come so naturally. By age 11, they may decide to give up trying. And that is really sad. SO…I have designed my own coloring books to reflect the soul’s longing. I hope they will be tools…a stepping off place into the world where there are no rules about coloring in the lines. In the world of children’s coloring, they need freedom, then they need form. Eventually they get frustrated with not being able to communicate with art so they want the rules so they can successfully bring into form what is formless in their hearts. But for us as adults who have learned to censure and give up, we need the form first, then we need freedom. With my coloring books, I have left a lot of white space and I share ideas about using “organic” designs. In the wonder of Creation we see patterns of lines, circles, spirals and squares. When basic shapes are repeated with slight variances, our eyes find comfort and rest. So I encourage the use of these design patterns around the white space of my illustrations. Coloring can be both inside the lines and exploration outside the lines. 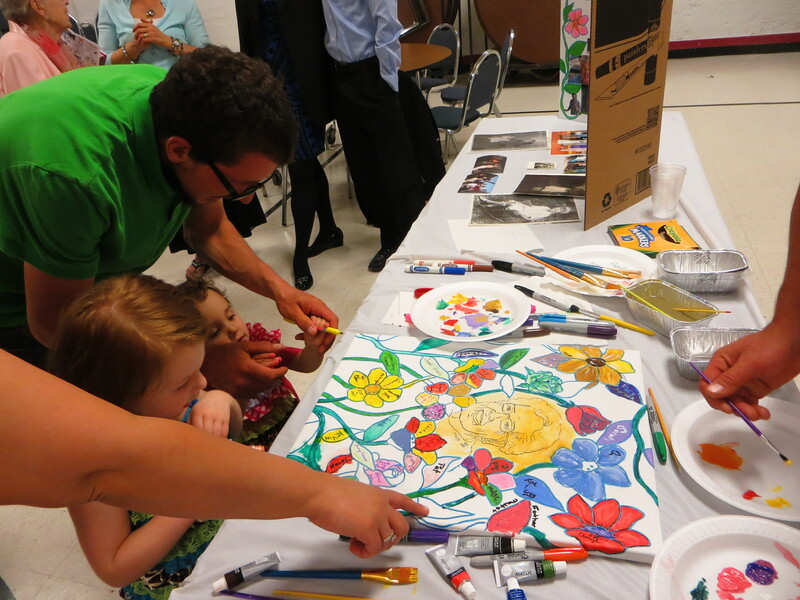 There is a modern interest in coloring for grown-ups. In my training as an art therapist, I begin to see the reasons: Coloring can lower your blood pressure. And it can open a door into the wonders we experienced as children when we played and didn’t worry whether anyone else liked what we created or not. We did it in response to something stirring inside. We allowed a form to come into being and said, “This is good”– just like in Genesis! I hope you will re-discover that beautiful opportunity again! Get out your markers, colored pencils and paint. It’s time to Color 4 God! He didn’t say, “Peer pressure, global issues, drugs or promiscuity.” He didn’t say, “War. Fear of terrorism,” or anything else that might have been expected. Now THAT is profoundly true! One of the biggest issues in the world today is that we are all so busy filling up our lives according to modern expectations, that we don’t empty ourselves to receive Jesus! There is a deep need, and glaring absence, of silence in today’s world. Schools no longer require the memorization of spelling words because the words don’t have to be internalized (or so it is said)—after all, there is quick access to them externally. Schools no longer teach much history, which means the roots of our lives are not internalized. And our churches no longer require memorization except for the very basic prayers. Thus children haven’t internalized the tools which they would have been able to call forth in times of darkness. For these very reasons, I started a column for Catechist magazine called “Learning by Heart.” Kids should memorize Bible verses, the mysteries of the rosary, some important faith words and some Baltimore Catechism answers. In the time of Jesus, young people prided themselves on memorizing large amounts of information in order to pass on the faith. It is the stuff that is in our brains at a subconscious level, which will rise up in the silence. And it can be meaningful or meaningless. It would be far better for our young people if what came to mind was an icon and the Memorare, rather than the latest jingle for McDonald’s. Help your kids fill their lives with prayers, with EWTN, with memories of family fun and stories of saints. Ask them to memorize the Magnificat and the Canticle of Zechariah. Then make sure there is time for silence. Take kids to Adoration. Have a moment of silence at dinner time prayers. Unplug all devices an hour before bedtime. Suggest the beauty of silence. Then, in the silence and the emptiness (which is no longer a “void”), God speaks to us. Then the problem, identified by Paul, the young musician/philosopher, begins to be answered. A large group worked on this painting at different times. When a person has all they need, what can you give them as a gift and a memory? For my mom’s 90th birthday, 60 or more people gathered to celebrate. I brought out a canvas with a stained glass type of illustration I had drawn on it with a permanent marker. Everyone painted in little parts of the design! After awhile, it was all the men who were gathering around to finish it. With color and design, laughter and love, a painting was born!! 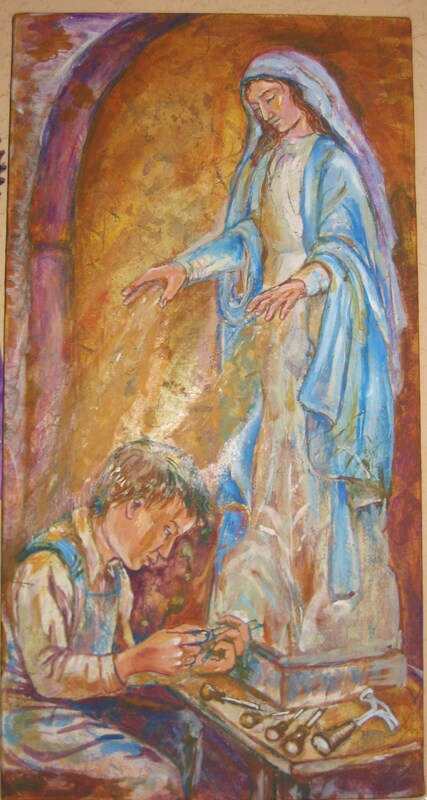 My artwork as a Catholic artist. About 25 years ago, I showed my work in galleries and it was so popular I couldn’t keep up with orders! I had to have hired help back then. My message, although otherworldly, was different than it is now. The quality and style of my art is the same but my audience has changed. Where are you my dear audience? I need to find you now! 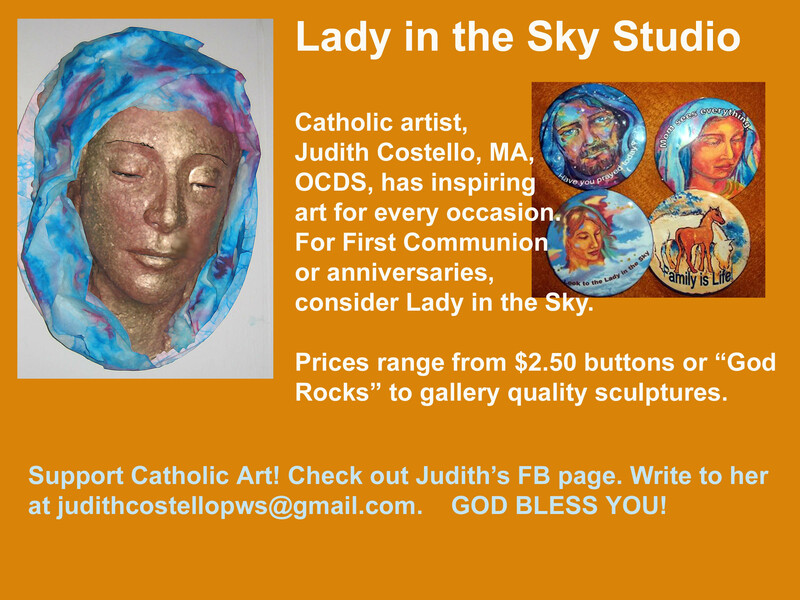 I want to inspire you with sculptures of our heavenly Mother who looks down on our world with concern. I want to see you surrounded with the hope that comes from “the Word made flesh.” I want to direct your prayers to the saints who struggled and stayed joyous. It is my hope that through sculpted paper, or paintings with sculpted additions, I can intrigue you and support your prayer life. We are called to go deeper into the silence where Truth speaks and God can be known more fully! Won’t you contact me to learn more? Making pulp into a beautiful Sun image…. Did you know that the top seller on Amazon Books these days is a coloring book for grown-ups?! Odd as it may seem, this trend reflects a growing awareness that playful artistic experiences can dramatically reduce stress! We all started out in life, clutching crayons or “writing” with mud. I remember waking up one morning to find that my four year old had discovered a most unusual coloring material…he was using buttery fingers to draw on our Adobe walls. The oil made a lasting deep brown color on the tan walls. I suspect that “making his mark” on those walls has remained to this day for the new owners to enjoy! 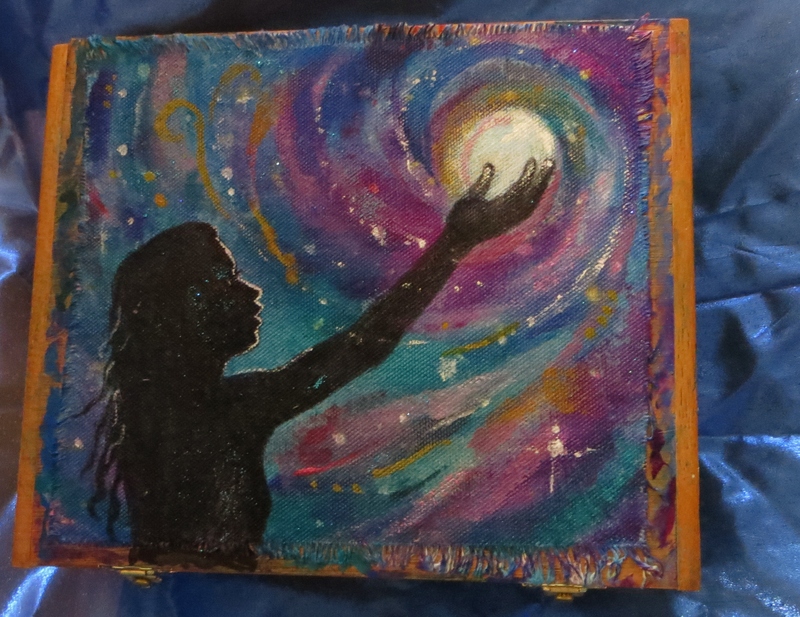 I use other materials to “make my mark” but the stress relief and personal satisfaction is the same as my son’s as he sat there grinning over his creation. My personal favorite these days harkens back to the days of tactile experiences with mud and butter! 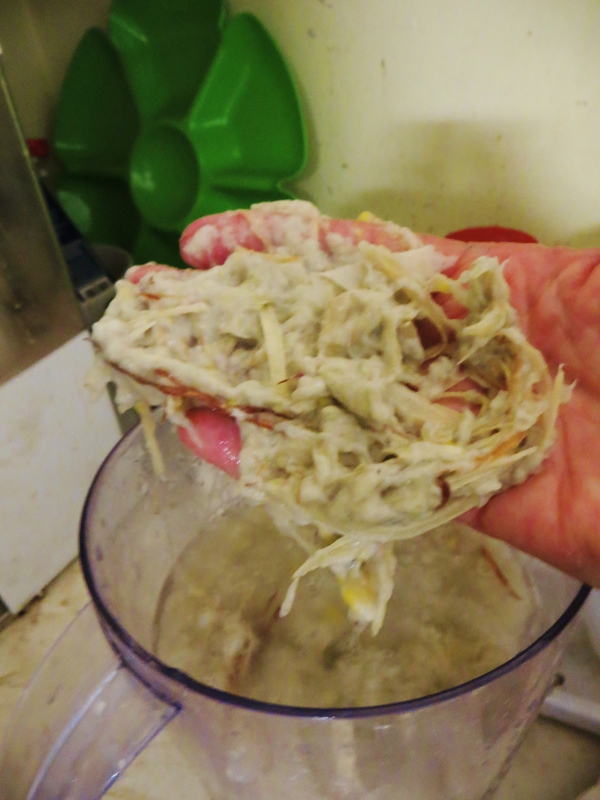 I get out my blender and throw in bits of plant fiber, recycled paper and dryer lint. These ingredients are ground up and suspended in water to create handmade paper. It’s that earthy experience of water and fibrous pulp that seems to drain away whatever is bothersome. And then when you can transform simple things into something new and beautiful, the spirit seems to lift off the earth!! Artistic opportunities are a powerful, non-verbal way to experience renewal, relaxation and intuitive leaps! That’s why I started a business to offer therapeutic art classes. What I am seeing is that such experiences, offered in a group environment become a celebration of the human spirit! Check out my website at www.unwindstudio.weebly.com.